For close to three decades Cornet Technology, Inc. has taken a leadership position in the design, engineering, and manufacturing of tactical C4ISR solutions that span all areas of tactical voice, video and data communications applications for Government and Prime Contractor clients. Our Command, Control, Communication & Computer solutions sit at the core of communication networks. Keeping Size, Weight, and Power – Cost (SWaP-C) requirements in mind, our communications subsystems offer secure and non-secure transmission, recording, monitoring, and information dissemination for a range of air, ground, and sea-based communication systems. Many of our solutions have received IA approval and JITC interoperability certification. To assist the military in achieving battlefield dominance and first responders with superior emergency management response, Cornet Technology is at the leading-edge of delivering tactical 4G LTE end-to-end secure voice, video, and data services; communications integration; and inter-operability solutions. In 2006 Cornet Technology received a 5-year IDIQ contract to supply red and black conferencing systems (Tactical Variant Switches- TVS) to replace manual rotary switches by the U.S. Navy. Today over 200 ships (both surface and submarine) utilize our tactical communication switches and Communication Terminals (CT) for external communications. 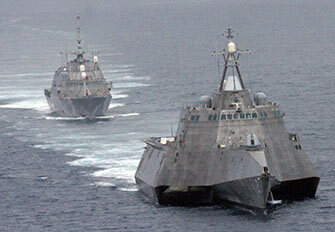 In 2014, we expanded our offerings to consolidate both Internal and External communications into a single ISDN and IP-based CT on 16 LCS ships. In support of maritime ship-to-ship, boarding party, and ship-to-shore operations requiring distributed command and control and navigational tract to all parties connected to the IP Network, we now offer the Small Tactical IP Network Node (STINN) product line for maritime operations. Our network enabled solution uses AES 256 encryption to provide secure voice, video and data services between all parties using backhaul connections to form a federated 4G LTE network. Our solution extends mission critical data services including navigational, sensor, personal locator information (PLI), text and video services between ships, cutters and small boats depending on maritime operations. Meeting the needs of expeditionary maneuver in support of air, ground and sea operations, is our family of Small Tactical IP Network Node (STINN) based voice, video and data solutions. These units support command post operations on-the-move and/or at-the-halt, as well as disadvantaged and disconnected users in a size-optimal form factor. Providing ease of use, quick set-up, and mobility (mounted or dismounted), these all-IP baseband units bring Warfighter network services (voice, video, and data (PLI, email, chat, etc.) to the tactical edge. These solutions are a key combat enabler that allows operational maneuver, situational understanding, joint and coalition interoperability and assured access to mission critical voice, video and data services. 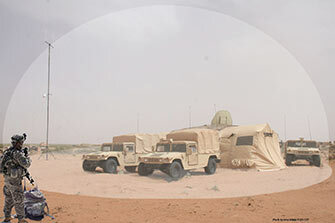 STINN LTEconverged (future) supports enroute mission planning whether connected to a WAN or not, as well as an early entry command post capability when connected to a SATCOM or HCLOS terminal. At the company level command post, our STINN LTEcp (future) all-IP solution provides mission critical command and control and situational understanding in a form factor. This unit can also be easily mounted in a vehicle. It provides radio cross banding, VOIP, video streaming services and a 4G LTE base station in all the commercial bands for worldwide deployment. For Special Forces and dismounted users, we offer the STINN LTEmp, 4G LTE manpack unit, that provides voice, video, and PLI at the tactical edge to improve end-to-end situational awareness for informed decision making. All of our STINN solutions are easily adopted to support first responder scenarios for interoperability, command and control and synchronization. The advanced STINN family makes the “Tactical Cloud” a reality for all tactical users. Command and Control (C2) is the process of exercising authority and direction over assigned forces to accomplish missions – real-world operations or training. When conducting C2, commanders rely heavily on reliable, maintainable, and available communications. In a typical C2 center (e.g. BC3) the mission crew utilizes both Internet Relay Chat (IRC) and voice communications. The Cornet Technology Tactical Voice Communication System (TVCS) is proven and fully vetted and enables military personnel to transmit and receive, via both secure and non-secure means, voice communications regarding an assigned mission or a higher headquarters’ tasking. Scenario: A C2 RADAR operations center is tasked to provide air support to friendly troops coming under hostile fire. The operator assigned to the air support task views the air and ground situation on his/her RADAR monitor. 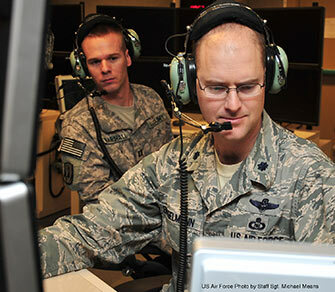 Essential information such as hostile action coordinates, combat air patrol aircraft availability, and contact frequency of the ground troops under fire are then communicated from the Air Support Operations Center (ASOC) to the operator via the TVCS. Also passing through the TVCS is target and status information from the operator to the pilot of the assigned aircraft via secure tactical radios. This information consists of geo-location, landmarks, vector to the target (direction and altitude), hazards on route, and any known ground situation information. Peripheral support is organized by other C2 mission crew operators to support the tasking; these may include air refueling tankers and medivac helicopters. The pilot of the strike aircraft and the operator stay in constant contact through the TVCS via radio as the scenario unfolds. At the same time, the TVCS intercom conferencing and radio monitoring capability enables internal mission crew coordination and situational awareness within the operations center. This ensures mission crew managers and support personnel are fully aware of mission progress. Communication among all participating parties continues until the mission is completed.